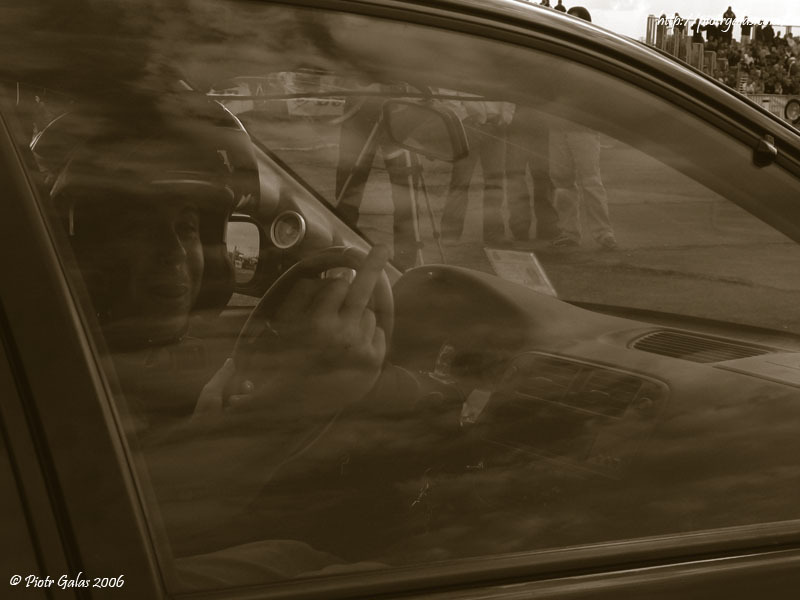 One of crazy drivers at Polish Final of Street Racing for 1/4 mile (Warszawa Bemowo - 25.09.2004). Look at his finger and tongue which are in direction to second starting driver. You where be able to watch lot of other photos. Links to them you can get at bottom (Related Images). Yesterday one of my friends gave me link to Paul Dell's site. If you can - help him to fight with big corporation. Very nice point of view. The tone and reflection is great. hi, how do you put a link to another site like that? I've tried put text but, it did not work.